Former Broncos head coach Vance Joseph is a “strong candidate” to become the Jets‘ defensive coordinator under new head coach Adam Gase, according to Ian Rapoport of NFL.com (Twitter link). While it doesn’t sound as though New York has officially reached out to Joseph yet, the connection makes sense, as Joseph served as Gase’s DC in 2016 before landing the top job in Denver. Joseph interviewed for the Bengals’ head coaching job and remains a candidate there, but the Jets clearly present something of a fallback plan. On the offensive side of the ball, Dowell Loggains — who worked under Gase with both the Bears and Dolphins — is expected to be involved in Gase’s staff, tweets Jeff Darlington of NFL.com. However, Loggains is still technically Miami’s offensive coordinator and will need to get out of his contract, per Rapoport (Twitter link). Broncos defensive coordinator Joe Woods has drawn interest as a defensive backs coach from both the Redskins and Jaguars, and as many as three teams are eyeing Woods, possibly even as a coordinator, per Mike Klis of 9News (Twitter link). Denver had not been allowing its assistant coaches take interviews with other teams, but that will change now that new head coach Vic Fangio is in place. Fangio is a defensive coach by trade, so he may take on play-calling now that he’s in Denver. Even if he doesn’t call plays himself, Fangio might want to bring in his own DC, so Woods is certainly in limbo. A longtime defensive backs coach, Woods took over the Broncos defense in 2017. In returning as the Vikings‘ full-time offensive coordinator, Kevin Stefanski inked a two-year deal, reports Darren Wolfson of 1500 ESPN (Twitter link). Stefanski is now signed for longer than head coach Mike Zimmer, whose contract expires after the 2019 campaign. The 36-year-old Stefanski took over as Minnesota’s OC after John DeFilippo was fired, and lead the club’s offense for the final three games of the regular season. Despite that limited track record, Stefanski was a serious candidate for the Browns’ head coaching position, finishing second only to Freddie Kitchens. New Packers head coach Matt LaFleur will likely implement much of his own staff, at least on the offensive side of the ball, but one incumbent Green Bay staffer has already received an offer to stick around. LaFleur wants tight ends coach Brian Angelichio to stay with the Packers, per Tom Silverstein of the Milwaukee Journal Sentinel (Twitter link). Angelichio worked with Kyle Shanahan on the 2014 Browns’ staff, meaning he has experience with the Sean McVay/Shanahan/LaFleur offense. He’s been with Green Bay since 2016. Klint Kubiak is receiving “strong consideration” for the Broncos‘ quarterbacks coach job, tweets Klis. Kubiak is the son of Gary Kubiak, the former Denver head coach who was today installed as the club’s offensive coordinator under new head coach Vic Fangio. Klint Kubiak, 31, began his coaching career at Texas A&M before moving to the Vikings in 2013. He joined the Broncos in 2016, serving as an offensive assistant focusing on quarterbacks. In announcing defensive coordinator Greg Schiano‘s departure from Ohio State, head coach Ryan Day said Schiano would be pursuing “options in the NFL” (Twitter link). That’s certainly a vague statement, and doesn’t indicate Schiano has a specific job lined up, but he could be in consideration for DC or position coach gigs around the league. Head coach of the Buccaneers from 2012-13, Schiano was rumored to have generated NFL interest at this time last year, but he ultimately stayed at OSU. After the Browns chose Freddie Kitchens as their new head coach, runner-up Kevin Stefanski has decided to return to the Vikings as their offensive coordinator, sources tell Adam Schefter of ESPN.com (on Twitter). Stefanski has been involved in meetings with Mike Zimmer throughout the interview process, so it appears that the Vikings were his fallback option all along. The Vikings announced the decision. As shown in PFR’s Head Coaching Search Tracker, Stefanski was not under consideration for any head coaching vacancy outside of the Browns. However, if the Vikings can take full advantage of their offensive weapons in 2019, it’s a safe bet that he’ll be in the mix for HC jobs next offseason. Stefanski’s contract with Minnesota recently expired, so he theoretically could have made a lateral move and signed on as an OC elsewhere. But, with serious potential in Minnesota and a good working relationship with the people there, it made little sense for him to flee. Stefanski, 36, was the youngest candidate involved in John Dorsey‘s search. 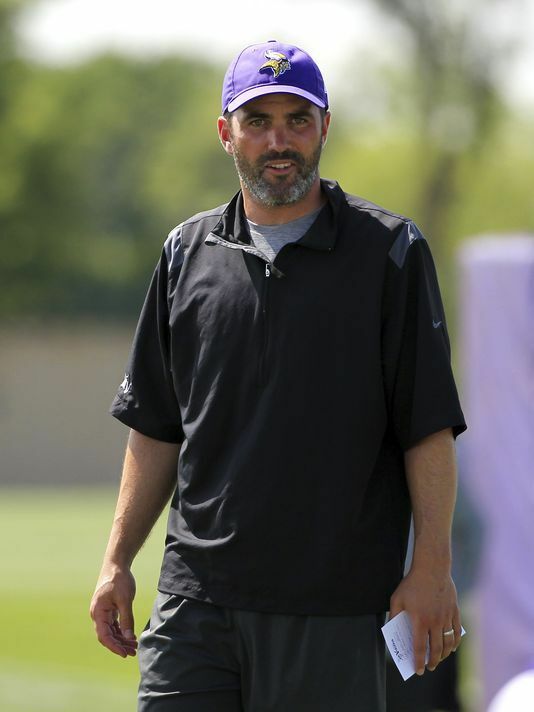 Just last year, he was passed over for the Vikings’ OC job by John DeFilippo, but Stefanski impressed after his in-season promotion to the role. 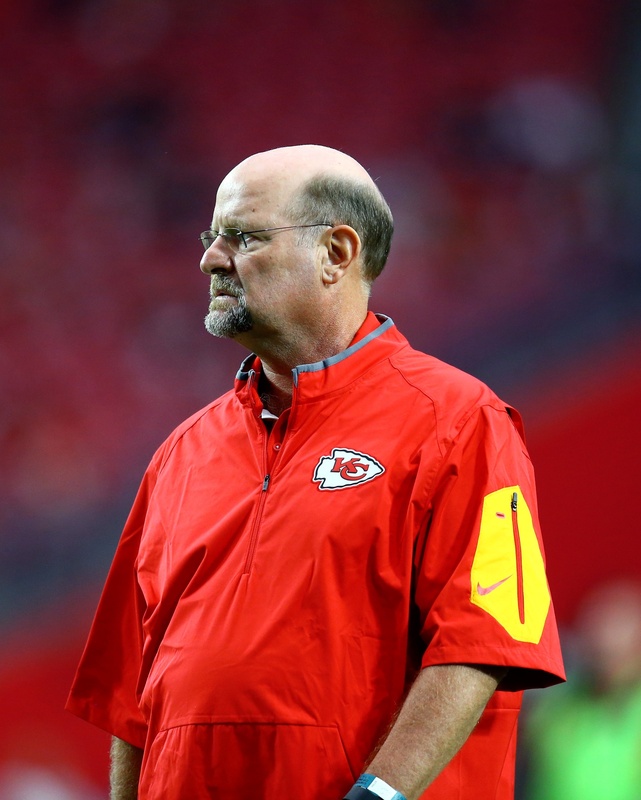 Brad Childress could be one step away from returning to the NFL. The Browns are reportedly down to Kevin Stefanski and Freddie Kitchens in their head coaching search, and if they pick Stefanski, Childress could wind up on Cleveland’s staff, Mary Kay Cabot of Cleveland.com hears. Childress and Stefanski have history, dating back to when the two first met in 2005. Childress was also the Browns’ offensive coordinator in 2012 and worked under GM John Dorsey from 2013-16 when he was running the Chiefs. There are significant ties all around, so Stefanski could be a natural fit as the next OC or a different type of assistant if Stefanski is the pick. The original plan for Childress was to serve as the head coach of the AAF’s Atlanta Legends in 2019. However, he abruptly stepped down from the post on Tuesday, which could be a sign that he has something bigger in the works. As they advance to the finalist stage of their coaching search, the Browns appear to be zeroing in on young play-callers. Kevin Stefanski is headed back to Cleveland for a second interview, Ben Goessling of the Minneapolis Star Tribune reports (on Twitter). The coach who took over the Vikings’ play-calling responsibilities late in the season may be competing with Freddie Kitchens, who ascended to this role in Cleveland. 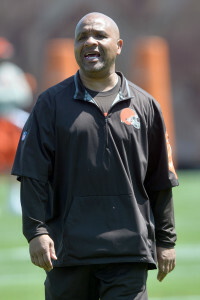 Kitchens now has a “good chance” of landing the Browns’ HC job, Mary Kay Cabot of the Cleveland Plain Dealer reports. The Browns interviewed Kitchens on Monday and have been making calls to inquire about his coaching past, Ian Rapoport of NFL.com tweets. These are the two finalists for the position, Ian Rapoport of NFL.com tweets. As Stefanski heads back to Cleveland, Kitchens remains in the Browns’ building. While the Browns are eyeing Stefanski for their HC job, he remains a leading candidate to stay on with the Vikings as OC, Tom Pelissero of NFL.com tweets. However, Stefanski is a coaching free agent after his contract recently expired. Several Browns assistants have already been asked to stay on board, Cabot reports, which would back the idea the 44-year-old Kitchens will receive a major promotion. Neither Kitchens nor Stefanski had OC experience heading into 2018. The Browns appear to be serious about pairing Baker Mayfield with a young, offensively oriented leader. Stefanski, 36, interviewed for the Browns’ HC vacancy on Jan. 3. He is the youngest candidate involved in the John Dorsey-led search. This comes after he was passed over for the Vikings’ OC job a year ago for former Browns OC John DeFilippo. But Minnesota fired the latter late this season, and Stefanski is competing with Kitchens and perhaps others for the Cleveland job. The Browns blocked Kitchens from pursuing offensive coordinator jobs outside the organization. It looks like he has a real shot to continue to work with Mayfield, which is not necessarily a big surprise given the rookie passer’s success after the Browns fired Hue Jackson and Todd Haley. Kitchens receiving the HC job may point to Gregg Williams staying on, though it would be an altered dynamic given the 60-year-old interim leader’s previous role as Kitchens’ boss. Right after the biggest coaching news of the cycle dropped with the Packers’ hiring of Matt Lafleur, we have a fresh batch of coaching rumors ready. 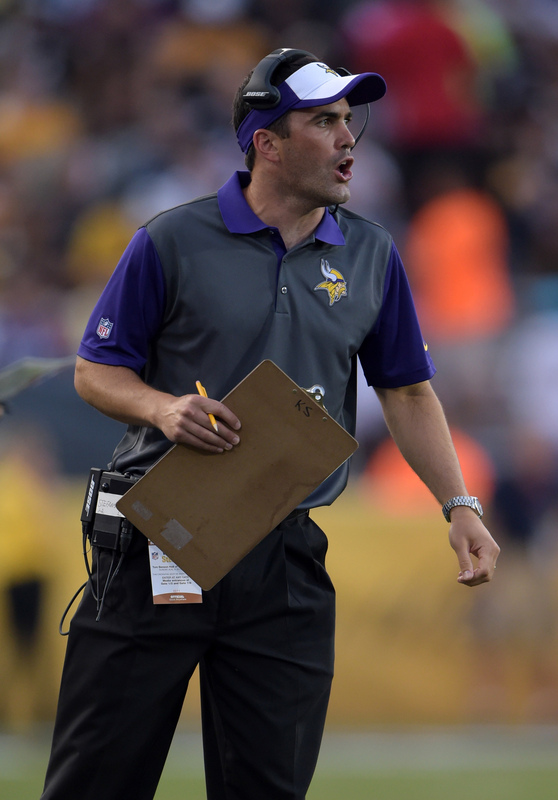 One of the most prominent coordinator openings is the Vikings’ offensive coordinator position. The team fired John DeFilippo midseason, and promoted Kevin Stefanski to that role. Although many initially thought Stefanski would be back in Minnesota, he is “unlikely to return”, according to Charles Robinson of Yahoo Sports (Twitter link), who notes the team is “looking for depth of experience.” Robinson writes that former Titans head coach Mike Mularkey is a candidate for the job, and he thinks recently fired Buccaneers coach Dirk Koetter is a candidate as well. Koetter is indeed a candidate for the job, confirms Ben Goessling of the Star Tribune. A source told Goessling that Koetter is a strong candidate for the job. Interestingly both Koetter and Mularkey have interviewed for the Falcons’ OC job in recent days. Koetter was Atlanta’s playcaller before landing the job in Tampa Bay. Robinson writes that Koetter has been “presumed across the league to be a lock for the Falcons OC job”, but that Minnesota is “in play” for him as well. Speaking of the Browns, the team completed their interview with interim offensive coordinator Freddie Kitchens today, according to Mary Kay Cabot of Cleveland.com. It’s unclear if Kitchens has a real shot at landing the head coaching job, as the back half of this season was his only experience even calling plays after he was promoted from quarterbacks coach, but he received a ton of praise for his work for Baker Mayfield. If he doesn’t get the job it’s highly possible he’s retained as OC by whoever takes over in Cleveland. Pittsburgh’s offensive line coach Mike Munchak has been waiting for the perfect opportunity to leave the Steelers, and a source told Aditi Kinkhabwala of ESPN.com that he turned down an interview request from the Dolphins (Twitter link). Munchak has been very selective over who he’ll talk to in recent years, and it seems like the only way he’ll be on the move this cycle is if he lands the Broncos’ job. Recent reports have him as the “early favorite” for that gig. We heard yesterday that the Jets were looking to set something up with Baylor coach Matt Rhule, and that meeting has apparently already taken place. The Jets “have discussed their head coaching vacancy” with Rhule, according to Jason La Canfora of CBS Sports (Twitter link). Rhule has been buzzed about in NFL circles in recent years, as he’s done a great job turning around the programs at Temple and Baylor. He was considered for the Colts’ opening last year, but ended up removing his name from consideration. The Browns were originally scheduled to meet with Vikings offensive coordinator Kevin Stefanski on Monday, but they’ve moved that interview to today, reports Adam Schefter of ESPN.com (Twitter link). Stefanski, who was elevated to offensive coordinator in Minnesota following John DeFilippo‘s firing, is in consideration for Cleveland’s head coaching job. While the Vikings are still interested in retaining Stefanski, he’s no longer under contract. Meanwhile, the Giants — who attempted to lure Stefanski to New York last offseason — won’t pursue Stefanski this year, as head coach Pat Shurmur told Mike Francesa of WFAN (Twitter link via Ryan Dunleavy of NJ.com). Patriots defensive coordinator Brian Flores has a busy week lined up, as he’s drawn interest from not only the Broncos, Browns, Dolphins, and Packers. It’s still unclear if/when Flores will interview with Cleveland, but he’ll meet with Green Bay on Friday, tweets Demovsky. Packers management is scheduled to fly to the New England area that day to sit down with Patriots offensive coordinator Josh McDaniels, so they’ll stick around to meet with Flores. Flores is also scheduled to interview for the Miami gig on Thursday and Friday, while Mike Klis of 9News reports (via Twitter) the Broncos will fly to New England to sit down with Flores on Saturday (previous reports had indicated Denver would meet with Flores on Monday). Cowboys defensive backs coach Kris Richard is expected to interview with the Jets and Dolphins on Sunday, according to Ian Rapoport of NFL.com (Twitter link). Assistants preparing for a Wild Card playoff matchup aren’t allowed to interview in the week preceding said game, so Richard will have to wait until Dallas completes its contest against Seattle on Saturday night. Richard is also a candidate for the Buccaneers’ head coaching job, although it’s unclear when that interview will take place. General manager Reggie McKenzie isn’t the only Raiders executive without a job at season’s end, as Oakland has also fired director of player personnel Joey Clinkscales, tweets Jim Trotter of NFL.com. Clinkscales, a high school and college teammate of McKenzie’s, was the ex-Raiders GM’s top assistant, so it’s perhaps unsurprising Oakland made the decision to ax him, as well. A former scout with the Steelers and executive with the Jets, Clinkscales was named on the Fritz Pollard Alliance’s list of recommended minority GM candidates last month. The Browns are going to interview Vikings interim offensive coordinator for their head coaching position Kevin Stefanski on Monday, a source tells Ian Rapoport of NFL.com (on Twitter). Stefanski is also a candidate for the Vikes’ full-time OC job, but his contract is up so he is free to field outside offers. The Vikings have been largely happy with Stefanski and are expected to try and keep him as their offensive manager. However, early indications are that they’ll have a fight on their hands to keep him in the headset. The Vikings were an early favorite for Super Bowl contention but they finished out with a disappointing 8-7-1 record and missed the playoffs. In December, Minnesota canned offensive coordinator John DeFilippo and found Stefanski to be more suited for the role. Guided by GM John Dorsey, the Browns may be one of the most attractive landing spots for coaching candidates this offseason. The presence of Baker Mayfield should have offensively-minded coaching like Stefanski drooling, there are young pieces in place thanks to years of losing and future-minded moves, and turning the Browns around would be a legacy-maker. A flurry of head coaching moves have been made last night and this morning, but one team already had a significant head start on the process. The Browns were the first team to move on from their coach, firing Hue Jackson after eight games, and have had a while to formulate a plan. The team went 5-3 after moving on from Jackson, and might have the most attractive opening of any team with Baker Mayfield looking like a star in the making. The Browns’ first step in the process will be to interview Gregg Williams tomorrow, GM John Dorsey revealed at a press conference this morning, per Pat McManamon of ESPN (Twitter link). Williams is the interim coach right now and although he isn’t expected to land the full time job, Cleveland’s strong play down the stretch certainly earned him consideration. Dorsey also said that offensive coordinator Freddie Kitchens, who has drawn rave reviews for his work with Mayfield, will get an interview although he wasn’t sure when that would occur. Meanwhile, the Browns have also requested to interview Patriots defensive coordinator Brian Flores, according to Adam Schefter of ESPN (Twitter link). Flores is in his first year calling plays, but is highly regarded around the league and was a candidate for the Cardinals’ job last year. The Browns are also expected to interview former Titans head coach and current Steelers offensive line coach Mike Munchak, according to Alex Marvez of Sporting News (Twitter link). We heard earlier this morning that the Broncos have interest in Munchak as well, who’s earned a ton of praise for his work with the Steelers and is instrumental in Pittsburgh and far more influential than your average offensive line coach. We first heard late last night that the Browns had reached out to Mike McCarthy, and while he wouldn’t confirm anything, Dorsey certainly didn’t throw cold water on the rumors. Dorsey said he has “a lot of respect for Mike McCarthy and what he’s done”, according to Mary Kay Cabot of Cleveland.com (Twitter link). Dorsey also praised Kitchens, saying the first time coordinator has “done [a] wonderful job developing [a] relationship with” Mayfield, per Nate Ulrich of the Akron Beacon-Journal (Twitter link). The Browns have also put in a request to interview Saints assistant head coach Dan Campbell, according to Ian Rapoport of NFL Network (Twitter link). Campbell has been a popular darkhorse candidate for some jobs, and impressed during his brief stint as the Dolphins’ interim head coach in 2015. In addition to Campbell, Rapoport tweets they requested an interview with Vikings interim offensive coordinator Kevin Stefanski. Two last candidates for the Browns are Colts defensive coordinator Matt Eberflus, as Tom Pelissero of NFL Network tweets that the Browns have submitted an interview request for him, and Colts offensive Nick Sirianni is also on their interview list Pelissero tweets separately. Adam Schefter followed up on Pelissero’s report by tweeting that while the Browns do want to interview Eberflus, they won’t be able to this week with the Colts playing a playoff game this weekend, and the same presumably goes for Sirianni. Cleveland will be one of the most buzzed about teams in the coming days and weeks, and we should know a lot more about their intentions soon, and they’re clearly casting a very wide net. At this point, it still seems most likely that they’ll pursue an offensive coach to pair with Mayfield despite their reported interest in Flores and Eberflus.